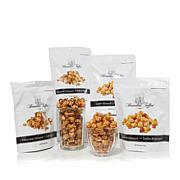 Satisfy your craving for crunchy, decadent toffee popcorn with these boxes of sweet goodness. 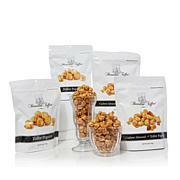 Munch your way through your afternoon meetings or snack on it while sipping your favorite coffee. 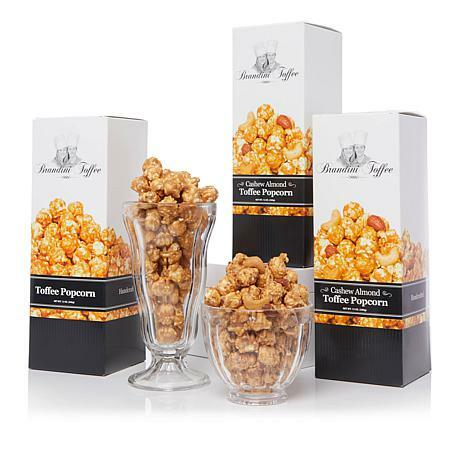 They also make great gifts, but save some for your sweet tooth callings. This popcorn is excellent! It arrived well packaged and was very fresh. The cashews and almonds are large and tasty. I am so glad that I gave this product a try. This product is fabulous and down right delicious. this company don't skimp on anything the carmel toffee has a great taste and there are lots of cashews and almond throughout the bags. I have ordered this twice once for myself and the other for a friend, who loved it. This popcorn is so tender. The butter on this toffee has me licking my lips, over & over! The cashews & almonds are perfect! I'll never buy anywhere else, again!